Quiet week on the data front this week, but the Federal Reserve (Fed) releases minutes from their latest meeting. Last week, the February Philadelphia Business Outlook Survey (BOS) reached 43.3, a level not seen since 1973. The three month moving average rose to 24.9 which was last achieved in 2004 shortly after Congress signed the Jobs and Growth Tax Relief Reconciliation Act of 2003. Both is 1973 and 2004, the economy posted the best growth of the respective decades. Why is the report important? For one, it focuses on a very important component of the economy — planned business investment. The BOS also ties in well with the Institute for Supply Management’s (ISM) National Manufacturing Index, a good proxy for GDP growth (chart A). 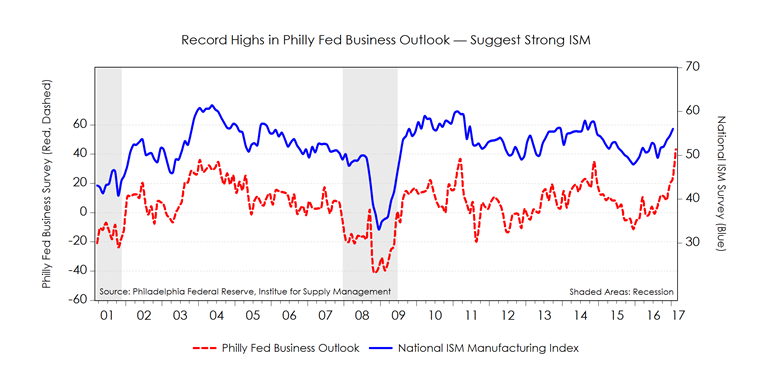 While not perfectly correlated, the Philly Fed’s BOS tends to provide some insight into the higher-profile ISM report (due out March 1). 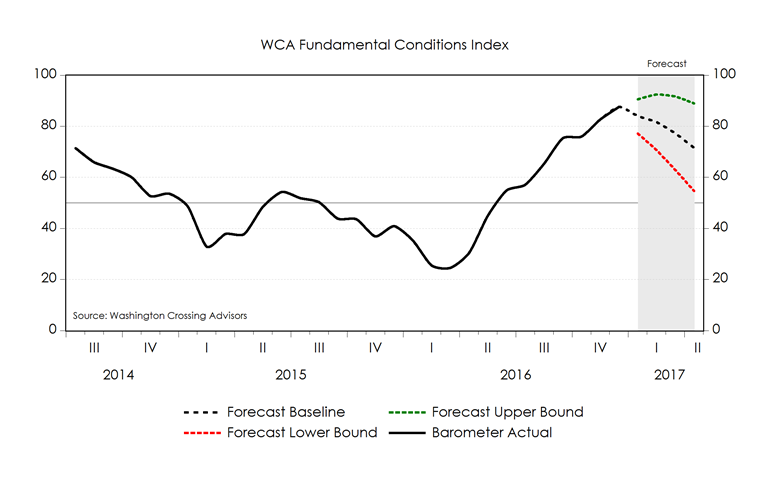 We also updated our WCA Fundamental Conditions Barometer, and our forecast of same through April (chart B). 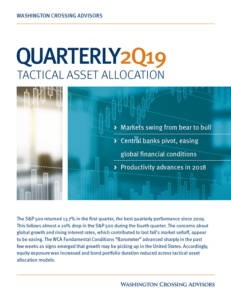 Here we also see that most fundamental market and economic conditions point toward growth. After bottoming out a year ago, a pickup in global growth helped drive improving conditions throughout 2016. We expect the pace of growth acceleration to cool somewhat in the months ahead, however. 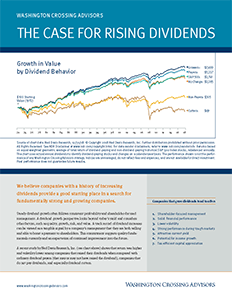 Portfolios remain tactically overweight large-cap domestic stocks versus bonds at this time.